The Huawei Kirin 980 chipset. The world's first seven nanometre (nm) chip, the Kirin 980, has been launched by Chinese technology giant Huawei. The system on a chip (SOC) was unveiled by Richard Yu, CEO of Huawei Consumer Business Group, at the IFA consumer tech trade show taking place in Berlin, Germany, this week. This is the smallest chip ever to be created (manufactured with Taiwan Semiconductor Manufacturer Company's 7nm process) and will power the new Mate 20 Series, which will be launched in October. It features an octa-core CPU comprising four A76 cores and four A55 cores, with the larger cores running as fast as 2.8GHz. The 7nm technology improves processor speed by approximately 20% and consumes approximately 40% less power compared to its 10nm counterpart. The SOC will be able to easily run process-intensive tasks such as artificial intelligence (AI), virtual reality, augmented reality and blockchain-based workloads. Akhram Mohamed, CTO of Huawei Consumer Business Group South Africa, says: "With regards to getting smaller and improving efficiencies, we have been thinking about that for the last three years or so. The main reason for the 7nm processor is not just about size; it is in a small space of your device, reducing size but still getting greater efficiencies. Whether it is performance or power-efficiency, this is a struggle for everybody. "All manufacturers are looking to improve chipset technology. This is part of our strategy to improve the overall user experience, from the size of the phone to what it feels like in your hand to what it's capable of doing, and then, of course, power consumption and speed." World Wide Worx MD Arthur Goldstuck says: "Back in 2007, when the thinnest chip was 45nm, Scientific American published an article entitled 'The Incredible Shrinking Computer Chip', in which it said that 'chips of 32 and 22 nanometres, once thought to be out of reach, are on the horizon'. "A few years later, when 14nm chips were first planned, there were doubts that chips could get any thinner than that, not because manufacturers couldn't do it, but because it seemed that the laws of physics wouldn't allow it. It was a complex argument but revolved around the need for channels that would guide the movement of electrons. Make the transistor too thin, and there wouldn't be room for the channels. Somehow, as they always do, scientists have found that the laws of physics tend to be relative to advances in knowledge. That's a simplistic explanation, but is more plausible than magic. "Intel was the first to develop 10nm wafers, but still hasn't been able to mass-manufacture them. For some, this was an indication that the limits had been reached. However, Samsung was able to manufacture chips at 10nm last year, and put them in phones." Goldstuck says by this time, the 7nm chip was already being anticipated for this year, with America-centric observers expecting Apple to be the first to put them in phones. "This makes Huawei's achievement that much more remarkable. "The advent of 10nm and 7nm chips means you are unlikely to see anyone suggesting again that we are reaching our limits. Physicists always come up with new physics." Mohamed says: "Moore's law states that each year you would have the size reducing by half but resistor count and performance improvements, etc, increasing by double, so we are actually beating that, as we are going from 10nm to 7nm in the space of a couple months." He says one of the use cases for having such a small chip is to increase surface area for other applications. "Right now, what we have done on the 10nm chip is we introduced the NPU [neural network processing unit] to process heavy-duty tasks, specifically AI. 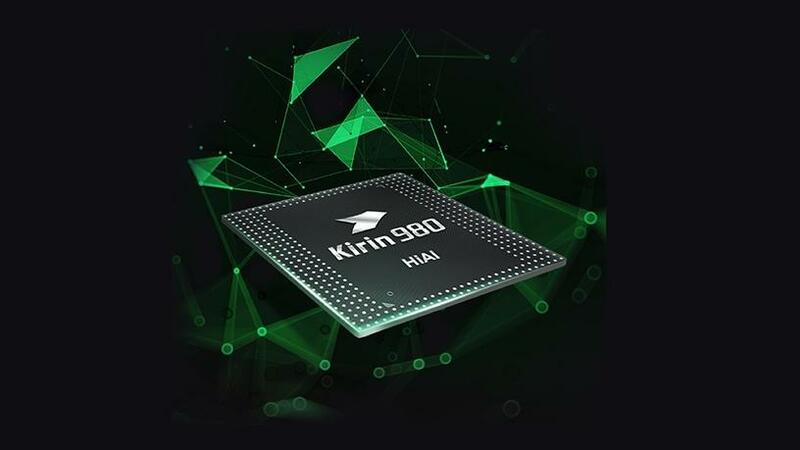 "On the new Kirin 980, the size has not increased, it is still 1cm-squared, but the transistor count has increased to 6.9 billion and we now have two NPUs in the same chipset. "We are finding that we are able to improve performance functionality of devices without increasing the size of the handset, or of the board, or increasing power requirements. We have 4 000mAh batteries as a standard on most of our Mate devices, and it is huge, but when you improve the performance and the speeds are increasing, you would think that the batteries are not big enough. So are you going to 5 000mAh or 6 000mAh? "You just don't have the space to do that and it is not aesthetically pleasing. But by improving power efficiencies on the chipset, you don't need to go that direction anymore."